We keep twinwall ducting in all colours for use in all applications. All of our duct pipes are made in accordance with UK regulations and are approved for use in the UK. 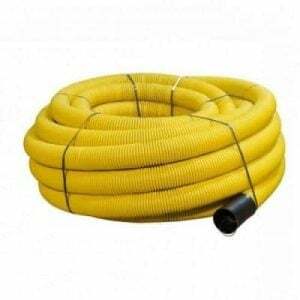 We also keep a full range of ducting accessories including underground marker tapes and drawcords. Twinwall ducting includes a smooth internal bore, along with a corrugated external wall providing exceptional impact resistance, strength and durability. It's flexible and lightweight. 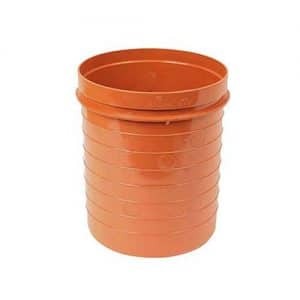 We maintain these colours in stock: Black electrical ducting, yellow gas ducting and yellow perforated gas ducting, blue water ducting, purple motorway ducting, orange road lighting ducting, orange traffic signals ducting and green CCTV ducting. All coils contain a draw-cord for attaching the cable lure to enable pipes or wires to be pulled through the duct after it has been installed. A complete range of twin wall duct bends and fittings are kept in stock. Split duct, for ducting existing cables, is also available. High-density polyethylene (HDPE) twinwall ducting is available in solid-wall, twin-wall smooth bore and single-wall corrugated profiles. It is lightweight, flexible, impact resistant and features push-fit joints. 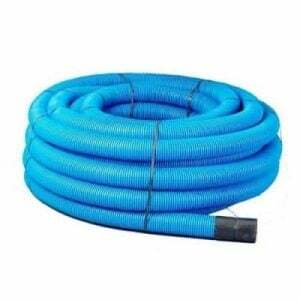 All twin wall ducting coils from EasyMerchant are provided complete with a draw string for easy installation of cables. Our twinwall ducting delivers the benefits of a flexible product combined with strength and endurance. Both EasyMerchant's twin wall duct coils and wall 6m lengths are intended to satisfy the required compression strength and are supplied to suit NJUG recommendations. 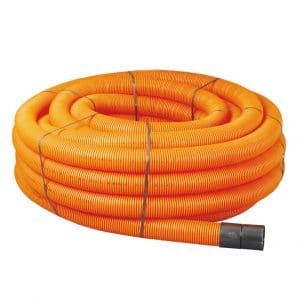 They're supplied in 6 metre straight lengths or 50 metre coils. The external corrugated profile provides the product added the internal bore and strength is smooth to prevent wires from snagging. If needed, a sealed joint may be accomplished by utilising push-fit coupling and two profile seals. First of all, make sure you're installing the correct coloured ducting for the purpose at hand. 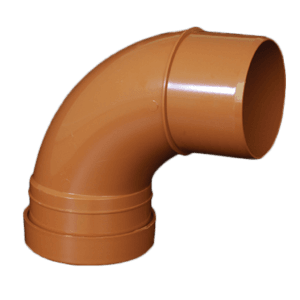 For short runs if the amount of distance for the twinwall ducting run is small then it's best to use a single walled PVC general purpose rigid ducting rather than a flexible one twin walled one. 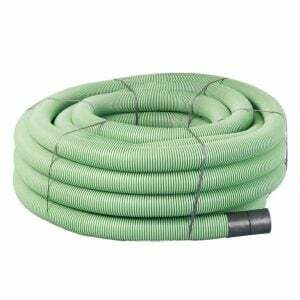 For longer runs the best option would be to go for a flexible twin wall ducting, the external to the run is corrugated which makes it stronger and it has a smooth inner wall. If additional strength is needed then twin wall ducting is the perfect option, and will be necessary if the cables are being installed underneath a road or pavement or heavy concrete. When installing the depth of your trench should be between 30-45cm deep (unless it's a water pipe that has been installed in which case it ought to be between 75-135cm), this avoids any risk of frost damage to the pipe. 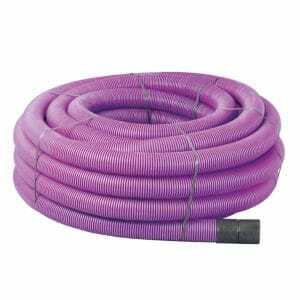 To prevent any stones from piercing or damaging the pipe a layer of sand 5cm deep can be laid to protect the pipe. 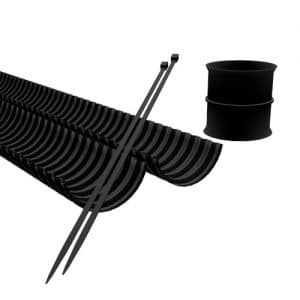 By far our top seller is black twinwall for use with electrical cables. 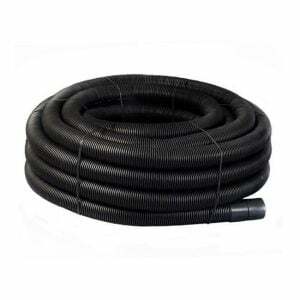 our black twinwall comes in either 6m lengths or 50m coils.